HMRL has been conducting different safety tests and trial runs with satisfactory results. Hyderabad: The countdown for speedier and comfortable commuting in the IT corridor of the city has begun with the Metro Rail preparing to chug into the Hitec City soon. While gearing up for the mandatory inspection by the Commissioner of Metro Rail Safety (CMRS), which happens to be the final clearance to commence commercial operations, the Hyderabad Metro Rail Limited has started to take care of the needs of the stations on the new route. 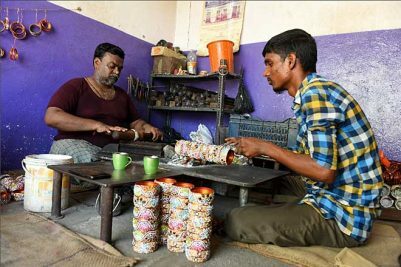 The CMRS inspections are expected to be carried out towards the weekend and once the safety clearance is obtained, the Chief Minister’s Office will be approached for fixing a date for launch of the services, officials said. To man the eight stations that dot the Ameepet-Hitec City route, deployment of security personnel is being taken up. For these new stations located at Madhuranagar, Yousufguda, Jubilee Hills Checkpost, Peddamma temple, Madhapur, Durgam Cheruvu and Hitec City, the HMRL has already called for private agencies to deploy requisite manpower. The deployment plan looks at 32 security supervisors, 112 male security guards and 48 female security guards. The security personnel would be involved in guarding, security and ensuring free flow of traffic at street level, duly removing encroachments for Metro stations. They will be taking up their duties in two shifts and come with needed training to carry out frisking, baggage screening, access control, etc., officials said. The HMRL has been conducting different safety tests and trial runs on the 10-km distance with satisfactory results. The authorities are also regularly reviewing the results of various tests, safety parameters and trial runs on the stretch. 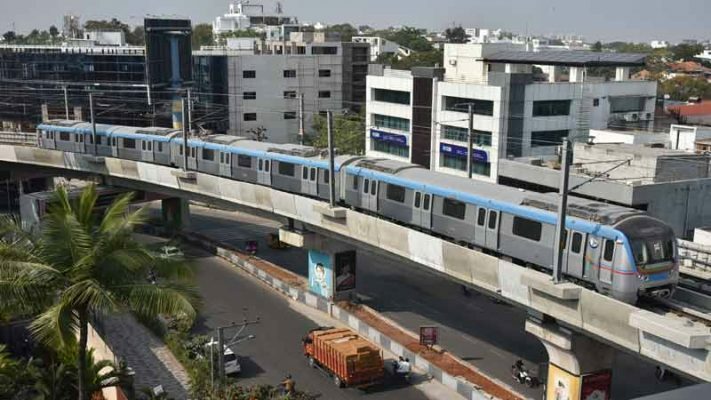 L&TMRHL has been instructed to get necessary safety certification from the French company Thales, which provided the Communication Based Train Control technology for Hyderabad Metro and from the Internal Safety Assessor – Halcrow. As the works to facilitate reversal between Hitech City station and Hotel Trident could get extended, the Metro Rail services will be operated till Hitec City station to start with. The services will run on independent single lines from Ameerpet to Jubilee Hills Check Post station and switch lines towards Hitec City station and vice-versa using a mix of conventional railway signalling and CBTC systems. Currently, nearly 1.75 lakh passengers are travelling every day on the existing routes of Miyapur-LB Nagar and Nagole-Ameerpet. Once the services commence on the Ameerpet-Hitec City route, officials expect the patronage to increase steadily and substantially.